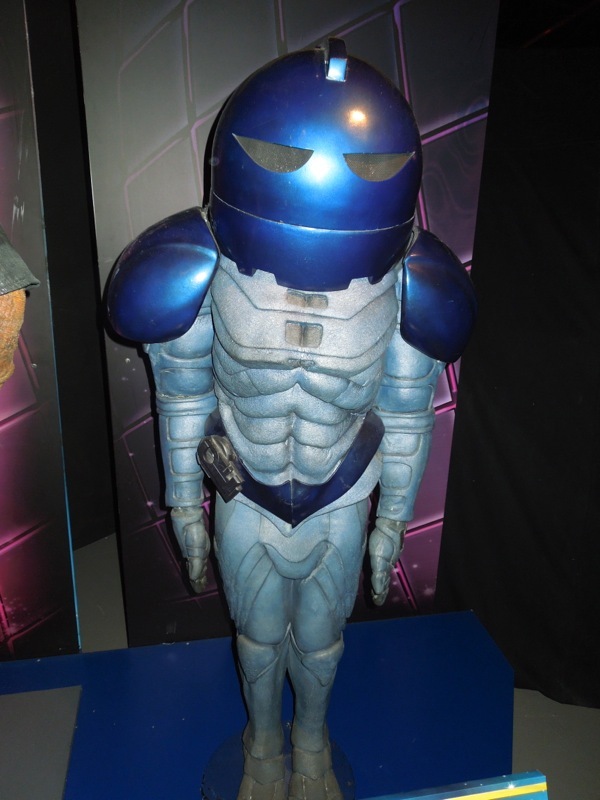 The time and space traveling Doctor has faced his fare share of alien races over his fifty year run, everything from Daleks to Cybermen, Autons to Ice Warriors, The Weeping Angels to The Silence, but here's a closer look at the race of clone troopers, The Sontarans (Doctor Who's very own Mr. 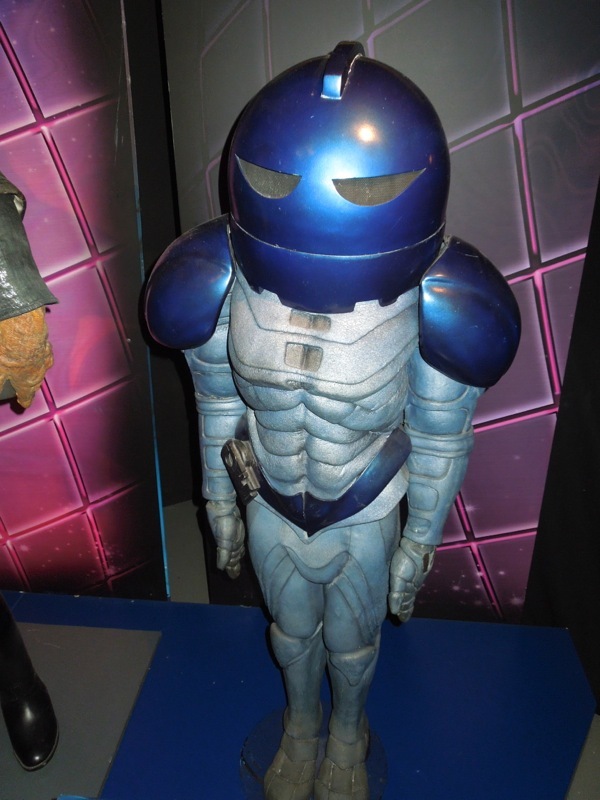 Potato Head), across the years. 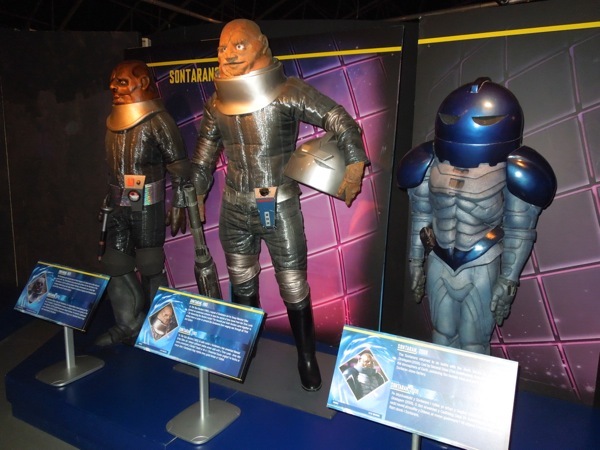 These three versions of Sontarans from 1973, 1985 and 2008 were photographed on display at the Doctor Who Experience in Cardiff Bay, Wales on May 20, 2013. 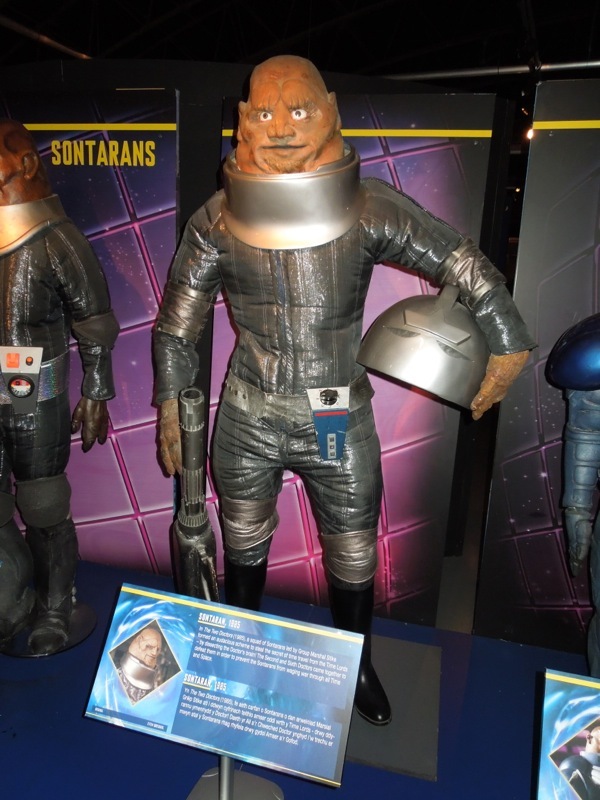 The Sontarans are a brutal race of humanoid clone warriors, bred for one purpose, war. 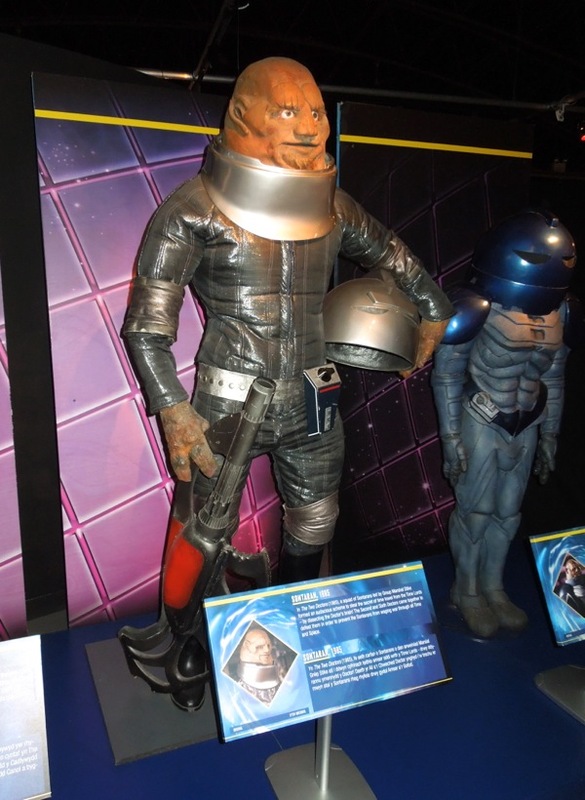 They have a distinctive dome-shaped head, stocky build (due to the denser gravity on their home planet of 'Sontar') and only three fingers on each hand. 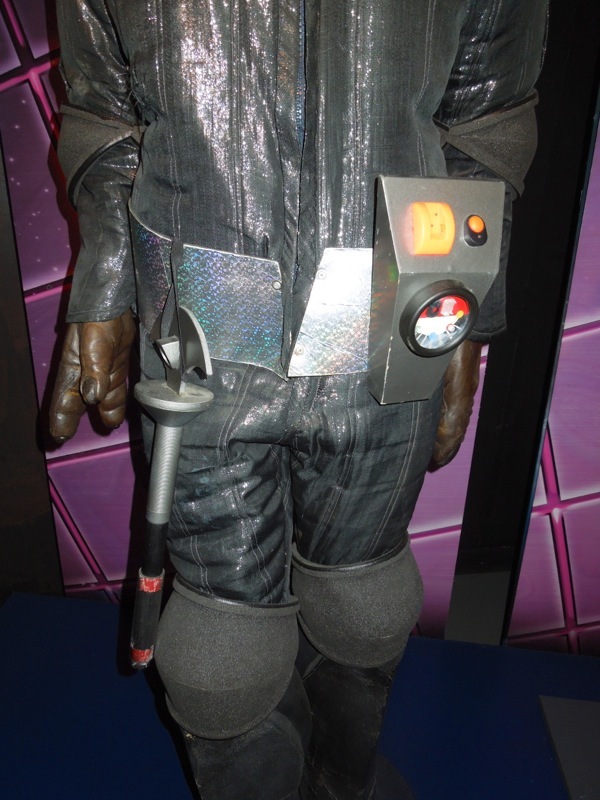 They were created for the BBC sci-fi series by writer Robert Holmes and first appeared in the 1973 serial 'The Time Warrior'. 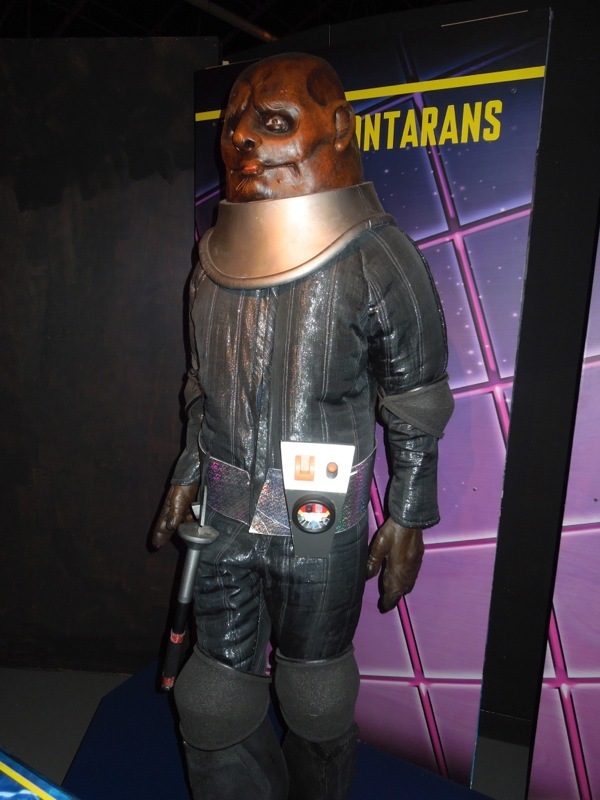 Here's the refurbished original costume worn by Kevin Lindsay as 'Commander Linx' of the Fifth Sontaran Battle Group. 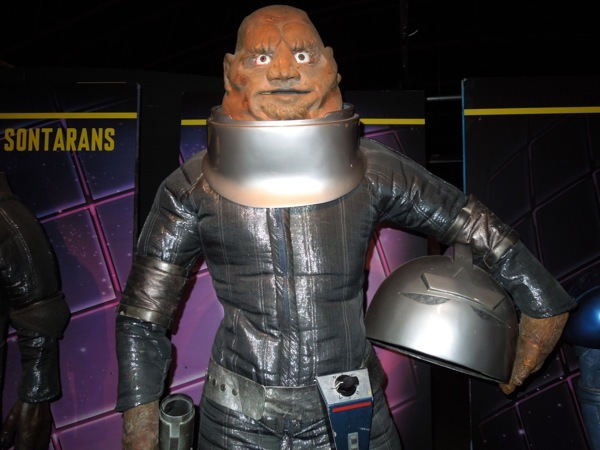 In this Third Doctor adventure we are introduced to this Sontaran who has crash-landed his spacecraft in the Middle Ages (along with meeting new Who Companion 'Sarah Jane Smith' for the first time). 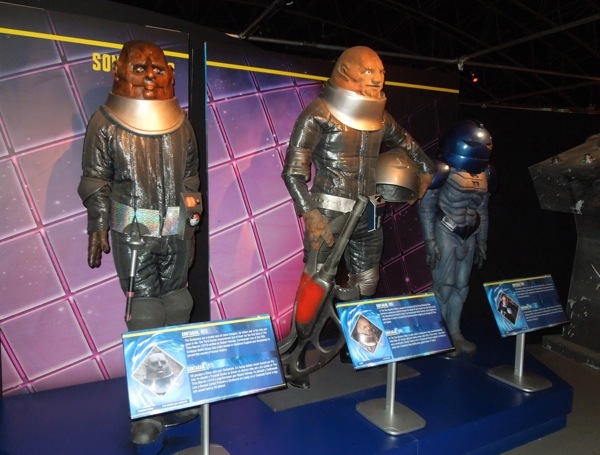 In 1985 the schemes of the Sontarans brought together the Second and Sixth Doctors in the aptly titled serial, 'The Two Doctors'. 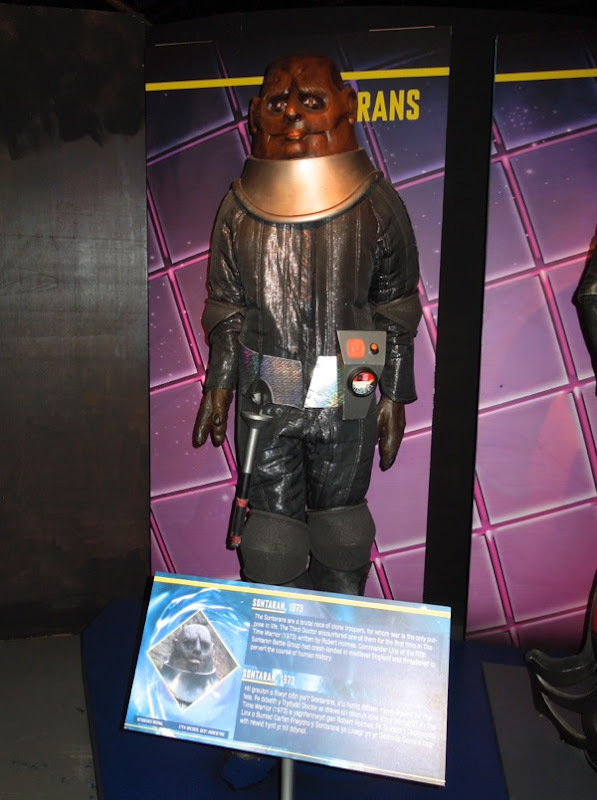 This is the original costume worn by Clinton Greyn as 'Group Marshal Stike', who is leader of a squad of Sontarans hoping to steal the secret of the time travel from the Time Lords, in order to wage war across all time and space, by dissecting the Doctor's brain. 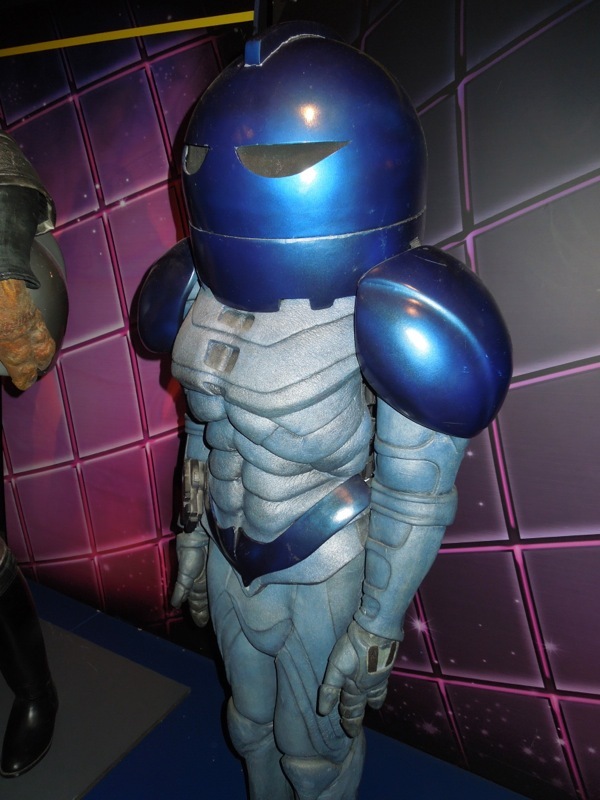 In the modern day series revival of Doctor Who, the Sontarans were re-introduced in 2008 to do battle against the Tenth Doctor in 'The Sontaran Stratagem'. 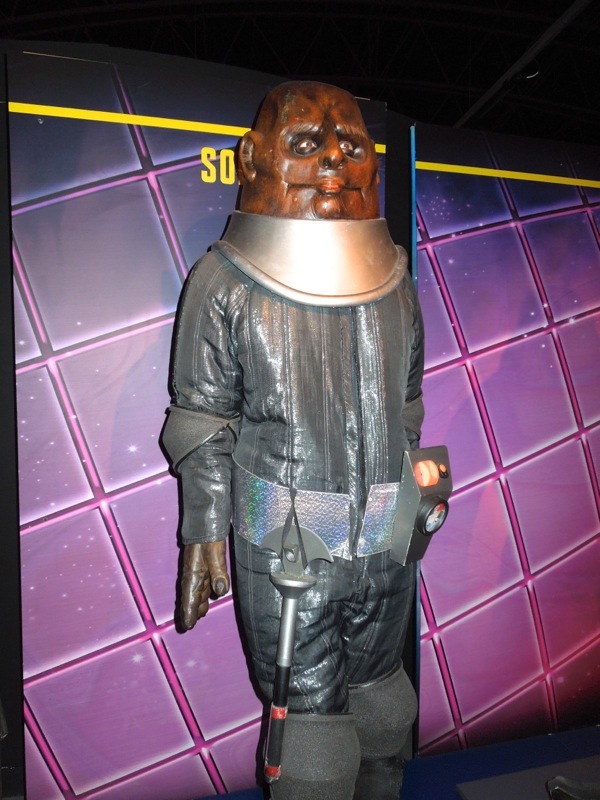 Christopher Ryan wore this Sontaran suit as 'General Staal (The Undefeated)' in a plot to transform the atmosphere of Earth, poisoning all human life in the process, in order to turn the world into a Sontaran clone-factory. 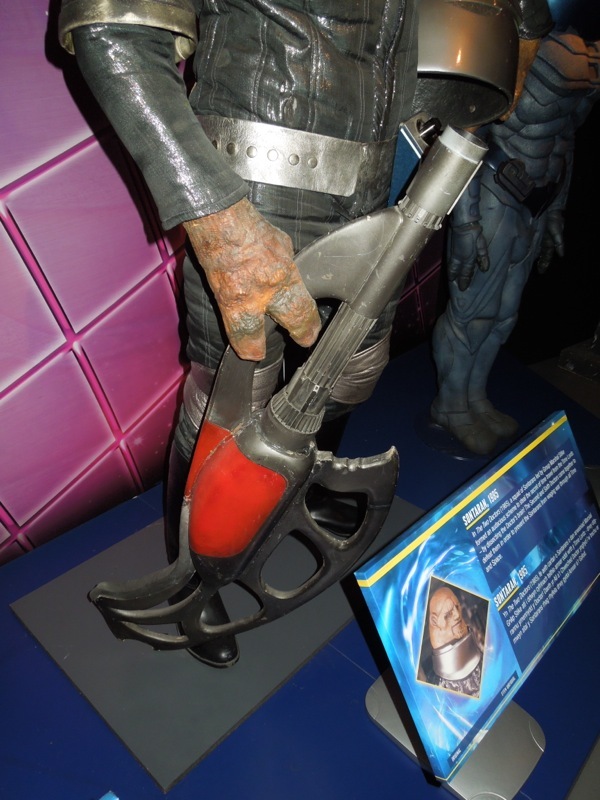 If you like this alien race, be sure to also check out the Doctor's classic arch-foes, the Daleks through the ages, plus The Ice Warriors now and then.